Jurgen Klopp feels it is "not possible" for Manchester United to appoint anyone but Ole Gunnar Solskjaer as their next manager. 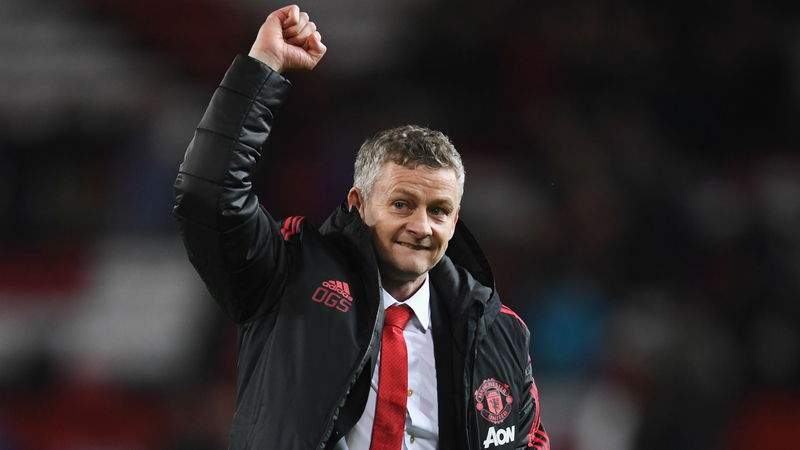 Liverpool travel to Old Trafford on Sunday aiming to return to the top of the Premier League, but will face a United side revitalised under Solskjaer. Defeat at Anfield in December proved the final act of Jose Mourinho's tenure and the Red Devils have won 11 games out of 13 in all competitions under caretaker boss Solskjaer. Following such a scintillating run of form, which has fired United into the FA Cup quarter-finals and right back into the fight for a top-four finish in the Premier League, Klopp believes any alternative long-term appointment would be on a hiding to nothing. "Now there is no doubt that he will be the manager next year as well," he told a pre-match news conference. "Can you imagine a situation where they bring in a new manager and the new manager loses one game? That is, of course, not possible. "He deserves that 100 per cent. He done everything that you have to do to be successful with them." Klopp was keen to stress he meant no disrespect to Mourinho when observing United made a necessary change after a humbling loss on Merseyside. "The way they play is obviously different now," he said. "You will probably make a story of it that it sounds like [being] disrespectful to Jose Mourinho and there is no need for that because he is an outstanding manager. "It looked like, in the end, they had a difficult time together and they found a solution for them, how they want to improve that situation and it obviously worked out. "Since Ole was there, pretty much everything has changed." One change that certainly has not escaped Klopp's attention is Paul Pogba's stunning return to form. "We see the Pogba that Manchester United signed a couple of years ago. The guy is in outstanding shape," he said. "All the offensive players who were there, they were good before but they are full of confidence and use all their potential. It makes a big difference. "That's how it is. Sometimes you need to make changes and often in football it's the manager. Sometimes it helps and in this case obviously it helped. "It's a different side, a different style but it's still United. They have all different ways in their tool box to get results. "They can defend deep, they can use high pressure in different moments. All that stuff is there, it's all good." Klopp sees parallels between his own move from Mainz for a defining spell at Borussia Dortmund and Solskjaer's switch from Molde in his native Norway to prove his credentials in elite-level coaching. "Of course, he has shown he belongs at this level, it's clear. We all need luck in our managerial career," he added. "When I went from Mainz to Dortmund people said I had no international experience. "It was true but it's not something you can buy, you have to make it. If Ole is not a former player of Manchester United he would not get the move from Norway, that's clear. "But if you get the chance you have to use it. He's shown everything that you need together with his coaches. They made a few smart decisions and it worked out." "I am really happy for him that he got the opportunity to show his quality. It's not the best news for us, obviously. For all Man United fans, it's obviously brilliant."